Get a first-hand look at one of nature’s most impressive spectacles – the annual whale migration – on this half-day cruise from Perth. 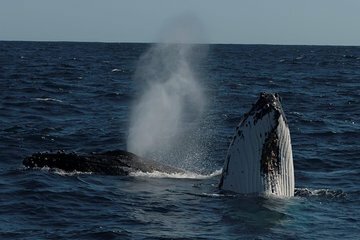 See magnificent humpback and southern right whales swimming, diving and playing along Australia’s west coast as you sail out into the Indian Ocean. Traveling on a specially designed whale-watching boat including a water-level viewing area and underwater microphone, you’ll have every chance to get up close to the gentle giants and snap photos of the whales in their natural environment.